Steel 5.375 inch, 13-slot, weld-on Picatinny rail for HK receivers. 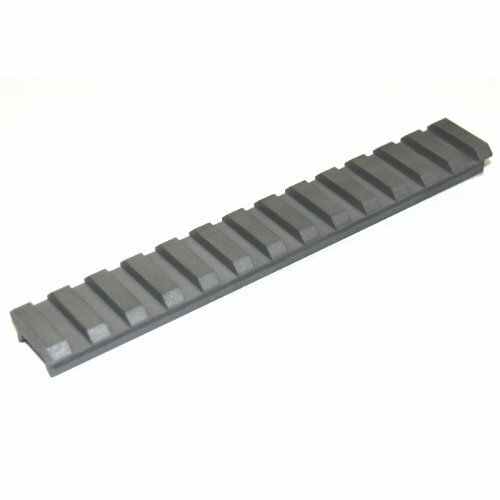 These CNC machined 1913 Mil-Spec Picatinny rails are relief cut on the bottom and ready to weld onto your HK or clone receiver. Rail is designed for mounting scopes and optics onto the 91/G3, 93/33/53, 94/MP5/K, 21, 21E/23E, and similar weapons. These are beautiful quality rails with no nasty machine marks, no bends, no bows, nothing warped. 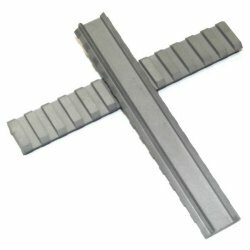 These are the absolute best quality weld on HK rails available.